Rescue boat Lucy, a 26-foot inflatable boat with a 300-horsepower motor, arrived at the city hall here at around 11 a.m. yesterday. The first phase of a P40-million water clarifying plant at the Ahag Filtration Gallery, a major source of water for residents in this city, was inaugurated on Monday. 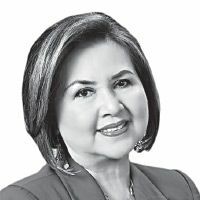 Representative Lucy Torres Gomez (4th district, Leyte), chairman of the House committee on tourism, had invited potential investors around the world to enter the Philippine’s tourism industry. A Fil-Chinese businessman has sued the Metro Ormoc Community Credit Cooperative, more known as OCCCI, for allegedly revealing his bank records without his consent. Mayor Carmen Cari was elated when the Philippine Drug Enforcement Agency-Region 8 declared Baybay City as drug-cleared. Boxes of firecrackers and pyrotechnics were recovered in raids on two electronics stores in this city yesterday. The Business, Permits and Licensing Office of Ormoc city has received a blue certification from the Office of the Ombudsman, making it the first city in Western Visayas to receive the recognition. After turning witness against his boss, the former driver-bodyguard of self-confessed drug lord Kerwin Espinosa was shot dead by unidentified men early yesterday. The US research vessel RV Petrel is conducting a two-day exploration of the wreckage of World War II battleships that sank in the waters off Ormoc, officials said yesterday. The local governments of Tacloban and Palo are preparing to commemorate the fourth anniversary of the onslaught of Super Typhoon Yolanda on Nov. 8.